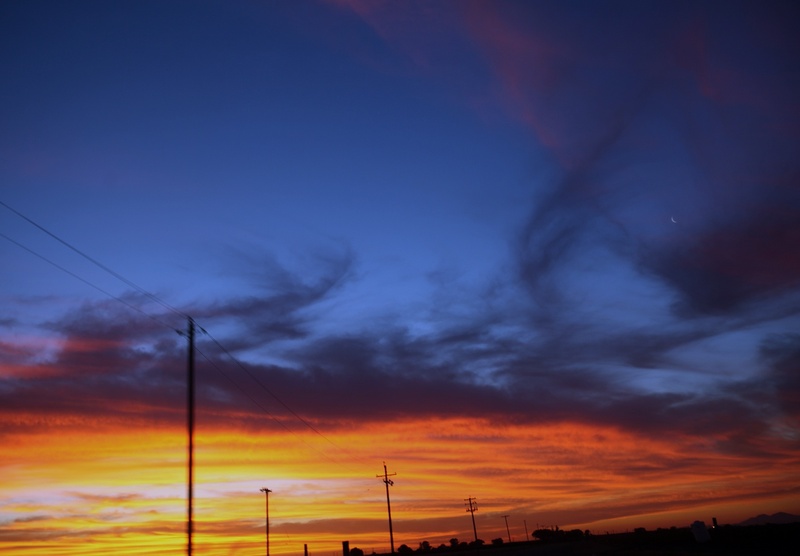 Ritter Communications is a leader among local independent communications providers, offering business, residential and wholesale customers advanced internet, phone, video and hosted services. We invest heavily in the communities we serve by deploying a best-in-class network and a world-class customer experience. Our commitment to providing state-of-the-art technology allows our customers, regardless of their location, to enjoy progressive services. 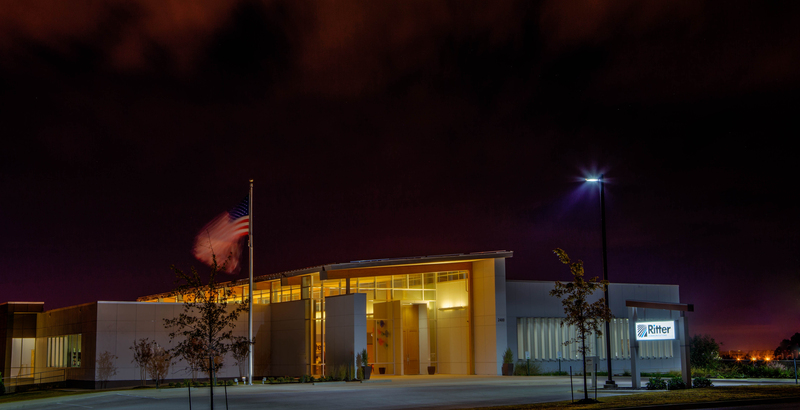 Founded in 1906 and headquartered in Jonesboro, Arkansas, Ritter Communications is a fifth-generation, family-owned company that is committed to growing and evolving to meet the demands of today’s ever-connected world. Click here to read more about our story. Our "Right by You" pledge is a reflection of how we strive to operate in all areas of our business. We believe the best formula for continued growth and success is doing what is right for our customers, employees and the communities we serve. 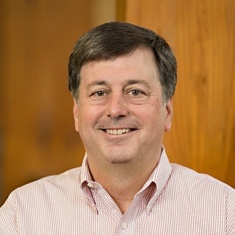 Chip Dickinson became the first non-family member to lead E. Ritter & Company when he became Chief Executive Officer in 2013. Chip sets the strategic vision and direction of the company and oversees the senior leadership team for both Ritter Communications and Ritter Agribusiness. He also works closely with the company shareholders to keep them updated regarding company performance and initiatives. 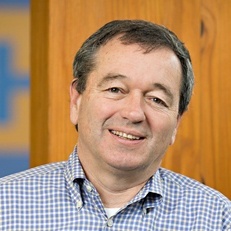 Chip joined the company as president in 2011 and assumed the role of CEO two years later. Chip earned a B.S. in financial management from Clemson University and began his career as an auditor for Ernst & Young, first in the company’s Greenville, SC office before transferring to Washington, D.C. 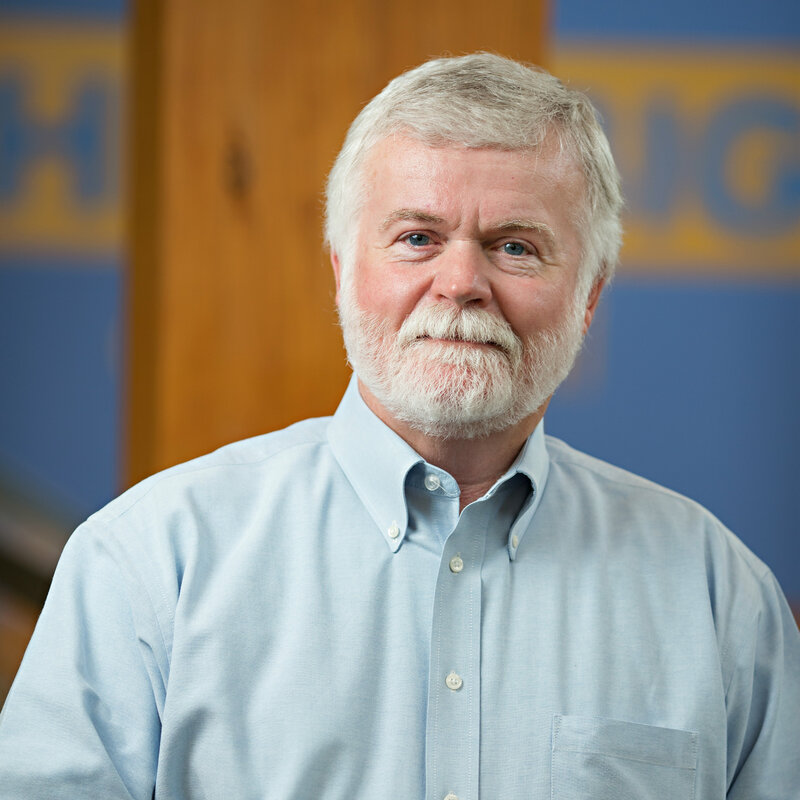 In 1995, he joined the Anderson-Tully Company, a Mississippi-based hardwood lumber business, as a vice president. He was promoted to president in 1999 and CEO in 2003. Chip’s role in the family-owned Anderson-Tully Company made him uniquely qualified to lead Ritter. Chip and his wife Katie live in Memphis and have three grown children and one grandson. He is an elder at Second Presbyterian Church in Memphis and enjoys cheering for his Clemson Tigers, playing golf and exercising. Alan Morse was named President of Ritter Communications in February 2014. Alan is a highly accomplished telecommunications executive with an extensive background in strategic planning, sales, marketing, network engineering and operations. Immediately prior to joining Ritter, he was the principal of the Morse Consulting Group, having successfully served as President and CEO of Integrated Mobile, Inc. leading up to its 2012 acquisition. From 2002 to 2007 Alan was COO for iPCS, Inc., a publicly-traded wireless communications affiliate of Sprint based in Chicago with service areas spanning 15 states. Prior to that, he was COO for Telepacific Communications, Inc., a private equity-backed CLEC providing business internet, telephone and data services in the California and Nevada markets. Alan is a graduate of The Ohio State University. He’s involved in numerous philanthropic organizations, including the American Cancer Society, the Arkansas State University EARIS business incubator program, the Jonesboro Chamber of Commerce and The Ohio State University President’s Club. Bill Harrison serves as Chief Financial Officer for E. Ritter Company, a position he’s held since 2009, and oversees all financial and accounting activities for ERC, Ritter Communications and Ritter Agribusiness. He’s also heavily involved in shareholder relations. 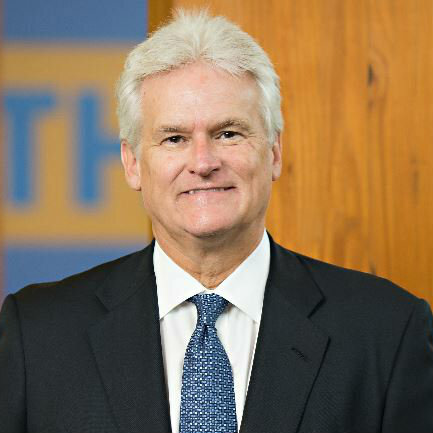 In 2016, Bill was named Large Private Company CFO of the Year by Arkansas Business. 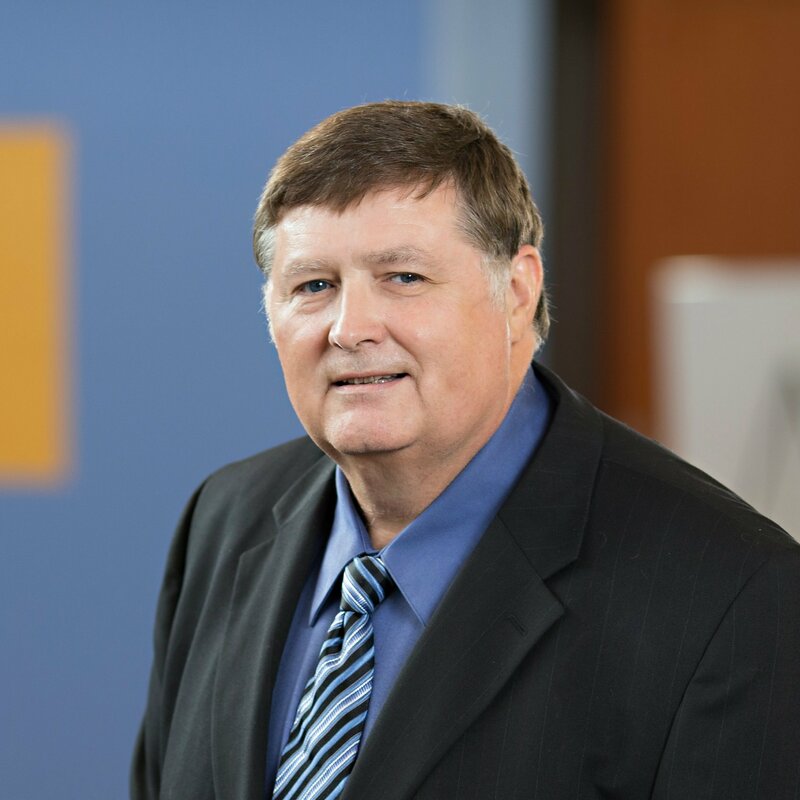 Bill grew up in Kingsport, Tennessee and received his undergraduate degree in accounting from the University of Tennessee. He then earned an MBA from Harvard University. Bill spent 23 years as a vice president with SSM Partners, a private equity firm, and was the CFO of Chordus, Inc. prior to joining Ritter. Bill earned his CPA certificate while working with Touche Ross & Company and worked as a consultant at the Boston Consulting Group after business school. Bill is a self-described “hack golfer” and enjoys hiking, canoeing and cheering for the Arkansas State Red Wolves. He and his wife, Vikki, have two grown sons, Matthew and Drew. As Senior Vice President/General Manager of Hometown Services, Jim Roberts oversees all aspects of Ritter Communications’ residential services, including construction, market sales, dispatch, installation and repair, service activations and customer care. Jim owns 27 years of experience in telecommunications, including seven years as a vice president at Windstream prior to his arrival at Ritter. Jim holds a B.S. in electrical and electronics engineering from the University of Arkansas. A native of Little Rock, Jim is a licensed professional engineer by the state of Arkansas. He and his wife Beth have two children. When not at work, Jim can regularly be found in the woods or on a lake chasing a prize bass. 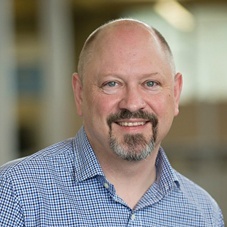 Greg Sunderwood joined Ritter Communications as Director of Network Architecture in 2012. 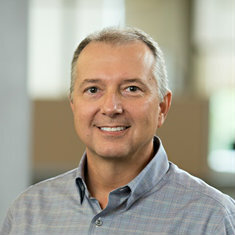 He served as the company's Vice President of Engineering and Products for five years and was promoted to Senior Vice President, Technology in September of 2018. Currently, Greg leads Ritter’s Network Engineering, Outside Plant Engineering and Product and Service Development teams and provides executive level leadership with respect to all technology and network related strategies. He boasts over 25 years of experience in telecommunications engineering, with leadership roles in BCTel/Telus, 360networks, Bell Canada and Nortel. Greg is a native of British Columbia and holds an electrical engineering degree from the University of British Columbia in Vancouver. He enjoys spending time outdoors and cheering for the Vancouver Canucks. 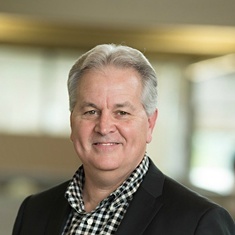 Bob Mouser joined Ritter Communications immediately following his college graduation in 1982, and he’s been with the company for his entire professional career. He’s held various positions with Ritter over the years, most recently Vice President of Business Development. In his current role, Bob performs due diligence on possible acquisitions, executes fiber and network use agreements with other companies and assists with switched/special access questions and with industry support payments. In addition, Bob handles legislative and regulatory issues at the state and local levels for the company. Bob grew up in Poplar Bluff, Missouri, and earned a degree in business administration from Arkansas State University. He and his wife Kim have two children, Rachel and Zac. Bob lives in Harrison, Arkansas, and enjoys hunting upland birds and turkey and fishing the Natural State’s numerous lakes and streams. Bytha Mills was named E. Ritter & Company’s Vice President of Human Resources in 2015. She is involved in strategic planning, program development, recruiting/talent management, labor/employee relations, training, employee benefits and directs day-to-day operations. Before joining Ritter, Bytha was the VP of Human Resources for the Heat Transfer Solutions Division of Luvata, an international manufacturing company. 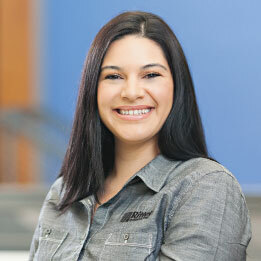 She previously worked for Intermet Corporation, an international manufacturing supplier. 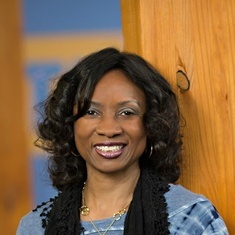 Bytha earned a bachelor’s degree in accounting from Arkansas State University and a Master’s in human resources from Indiana Wesleyan University. She is a native of Forrest City, Arkansas and has worked in Indiana, Ohio, Florida, Michigan and Mississippi during her professional career. Bytha is married to Chris and has one son and two grandchildren. 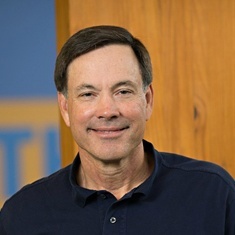 Clint Orr joined Ritter Communications in 1992 and has served as the company’s Vice President of Financial Planning, Research and Analysis since 2012. Clint is primarily responsible for forecasting, budgeting, revenue assurance and analysis of acquisitions. Prior to moving to his current position, he spent 12 years as Ritter’s VP/Controller. Clint is a Certified Public Accountant (CPA) and is certified in Inventory Management. He holds a B.S. in accounting from Arkansas State University. Clint is married to the former Hallie Bridges and has five sons and four grandchildren. He is a lifelong resident of Northeast Arkansas and member of Harrisburg United Methodist Church. He can often be seen riding his motorcycle, and in 2011, Clint took a 1,000-mile trip across the South on his bike. Jeff Kulas joined Ritter Communications as Director of Customer Care in 2015 and was promoted to Vice President of Customer Experience in 2017. Jeff is responsible for coordinating all customer service strategies, methodologies and messaging. 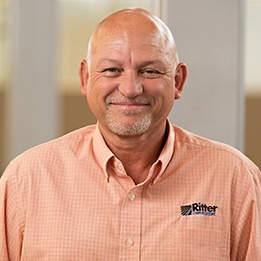 In addition, Jeff supervises Ritter’s key and business account reps (KARs and BARs), oversees the residential Customer Care team and is responsible for all inbound Customer Care, including phone calls and walk-ins at our retail locations. Prior to his arrival at Ritter, Jeff spent two years at Concentrix, a business outsourcing provider in Phoenix. There he was the Senior Manager of Sales Operations for Verizon Telematics. Prior to that, he was an Operations Manager with Pace for seven years, on their AT&T account. Jeff attended Western International University and Mesa Community College. The Phoenix-area native enjoys photography and painting and has volunteered with organizations such as the Salvation Army and OneNTen, an organization that helps provide positive role models and support for at-risk teens in Phoenix. Jeff has two sons and two grandchildren. Kyle Keith was named Senior Vice President/General Manager of Enterprise, Wholesale and Cloud Solutions in 2018. 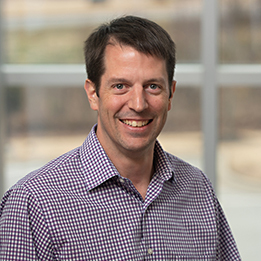 Kyle oversees a number of areas, including expansion of the company’s business services offerings into new markets, development of our cloud product suite and continuing to grow the company’s customer base through its expanding fiber optic network. Kyle joined Ritter Communications as a Market Sales Manager in 2013 and was promoted to Director of Business Sales in 2014. In that role, Kyle lead Ritter’s enterprise sales team and worked to establish new relationships with businesses throughout our territories while also strengthening established ones. Prior to joining Ritter, Kyle was an account manager at Optus Inc. and worked in sales and marketing for Alltel. Born and raised in Jonesboro, Kyle earned a business management degree from Arkansas State University. He and his wife Lauren have two children, son Jack and daughter Rebecca. Kyle enjoys golf, fishing, and cheering for the Boston Red Sox. Lexanne Horton was hired as E. Ritter Company’s controller in February of 2015. 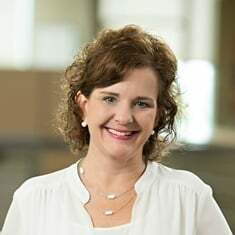 She oversees accounts payable, debt financing, financial reporting and treasury management and is involved in budgeting for ERC, Ritter Communications and Ritter Agribusiness. Lexanne holds an MBA from Union University as well as a B.S. in accounting from the University of Memphis. Prior to joining Ritter, she spent 24 years in the healthcare industry. A native of Jackson, Tenn., Lexanne serves as Vice-President of the Board of Directors for CASA of the 2nd Judicial District of Arkansas Court Appointed Special Advocates, an organization that provides support and advocacy for children who are in the foster system, and serves on the Workforce Development Committee at the Chamber of Commerce. Lexanne and her husband Mike have three children and one grandson. 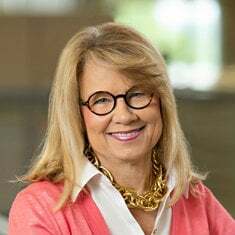 Margaret Holloway was named E. Ritter & Company’s Vice President of Public Relations and Community Development in 2010 and has been with the company since 2003. In her current role, Margaret is responsible for executing strategies to build and enhance Ritter's public image and visibility — particularly through community involvement — and serves as an advocate for the company with local and state government agencies. Margaret is a native of Weiner, Arkansas, and earned a business degree from Arkansas State University. She has served on the boards for numerous organizations, including the Jonesboro Regional Chamber of Commerce, Rotary Club, American Red Cross, Community Health & Education Foundation and Foodbank of Northeast Arkansas. She was also selected as the Outstanding Business Woman of the Year. Margaret and her husband Bob have two daughters and four grandchildren. 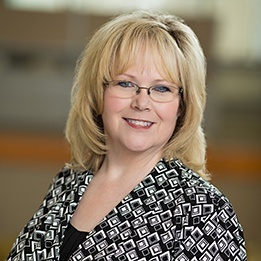 Susan Beasley joined Ritter Communications as Project Administration Manager in 2015, was promoted to Director of Information Systems and Program Management in 2016 and was again promoted in 2018 to Vice President/Information Technologies, Program Management & Facilities. 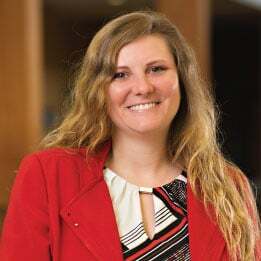 In her role, Susan supervises Ritter’s Information Services team and is the lead project manager for all of the company’s fiber construction initiatives. Susan owns more than 30 years of IT administration experience. Prior to joining Ritter, she spent 14 years at St. Bernards Healthcare, including three years as IT Director. She obtained a Master’s Health Informatics and Information Management from the University of Tennessee Health Science Center and a B.S. in Management Information Systems/Data Telecommunications from Arkansas State University. Susan is active with a number of charities in Northeast Arkansas and is a board member for the NEA Children’s Advocacy Center and committee chair for St. Jude S'travaganza. Susan Christian joined Ritter Communications in 2005 and has served as Vice President of Marketing since 2008. Susan leads all of the company’s communication and advertising efforts, serves as an official spokeswoman for company-related matters, works closely with cable networks regarding negotiations and supervises the “Tubetown” staff, Ritter’s local content production team. During her time at Ritter, Susan was previously responsible for managing the company’s residential customer care and product development team. In 2018, Susan was named Independent Marketing Executive of the Year by Cablefax, a leading industry publication. In her Federal Advocacy role, Susan represents Ritter Communications and its customers before lawmakers and their staff in Washington, advocates key public policy positions and is responsible for Ritter’s relationship with governmental regulatory agencies and trade associations. Prior to joining Ritter, Susan spent seven years as Director of Account Services with TRUE Visionary advertising agency in Jonesboro and worked four years as a Marketing Manager for Cott Beverages in Dallas. 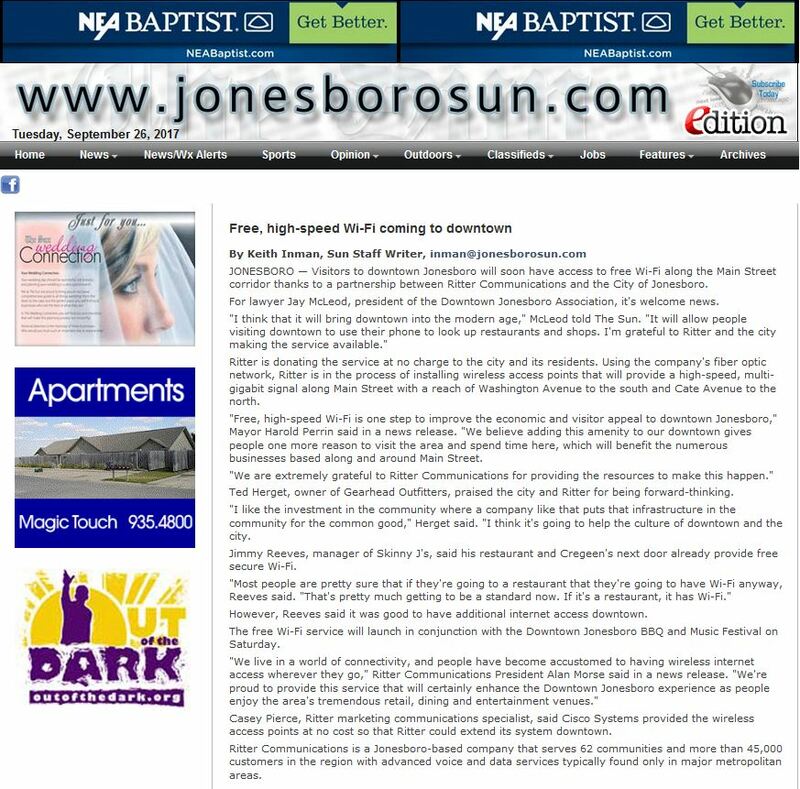 She is a Jonesboro native and earned a degree in Business Administration/Marketing from Southern Methodist University. Susan is a member of St. Mark’s Episcopal Church and serves on the Ernest and Anna Ritter Family Endowment philanthropy committee. Becky Tigner became Director of Program Management in 2018. The Director of Program Management oversees the planning, execution and finalization of projects according to strict deadlines and within budget. She brings a wealth of knowledge and experience to this role, which oversees management of project teams comprising administrators, engineers and managers. Becky’s career with Ritter began in 1992, and she has held various positions in operations ranging from billing and collections to business systems and processes. A native of Lepanto, Becky is an active advocate and supporter of St. Jude Children’s Research Hospital and the Susan G. Komen for the Cure Foundation. She is married to Todd Tigner, and has four children and five grandchildren. 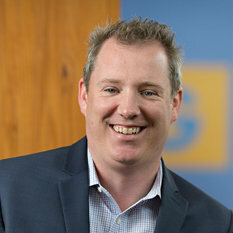 Charles McDonald joined Ritter Communications as Director of Cloud Solutions Product Development and Solution Engineering in 2018. Charles facilitates the development and lifecycle of Ritter Cloud Solutions and manages the Cloud Architect and Cloud Solutions Engineering teams. The team designs and supports Ritter’s cloud architecture and serves in pre-sales support roles for business clients. Charles boasts more than 20 years of experience in technology. Prior to taking his current position, Charles worked as a systems engineer with Dell EMC and was a senior solutions engineer at TierPoint. He also worked as a product manager and engineer with Windstream. Charles has also worked as a systems administrator with companies that operate in the financial, healthcare and educational fields. He holds technical certifications from Cisco, Dell EMC, Fortinet, VMware and Splunk, and he’s received a number of accolades for his work. In 2004, Charles received the Valor Telecom Circle of Excellence award. He was named Windstream’s Top Hosted Solutions Engineer for new logo’s in 2015 and Dell EMC’s Top District Systems Engineer Performer in Q1 2017. Charles holds an MBA from Texas A&M-Texarkana and also completed a Bachelors of Business Administration in Info Systems from the university. Charles and his wife Cindy live in Bryant, Ark. with their two sons, Alex and Aaron. Charles is a deacon and Sunday school teacher at Indian Springs Baptist Church and enjoys fishing, hiking and watching his kids play soccer and perform in the band. Clay Lavelle was promoted to Director of Technical Operations in 2017 and helps lead Ritter’s installation, repair, plant management and dispatch teams. Clay joined Millington Telephone Company as an Install/Repair Technician in 1984 and has spent his entire career with the company. He’s also worked in Outside Plant Operations as a supervisor and manager. Clay played a key role in helping with the transition process when Ritter Communications purchased Millington Telephone in 2012. A native of Munford, Tennessee, Clay and his wife Krissy have two sons, Easton and Luke. Clay is an Elder at Atoka Evangelical Presbyterian Church and is a board member with the Millington Chamber of Commerce. He completed the Millington Leadership Class in 2014. He’s an avid fan of the St. Louis Cardinals and Tennessee Volunteers and enjoys spending time in the outdoors hunting and fishing. Danny Smith joined E. Ritter Company in 2006 and was promoted to director of human resources in 2012. Smith is responsible for compensation and benefits management, employee relations, health and safety, HR compliance, organizational development, payroll administration, performance management and talent acquisition for both Ritter Communications and Ritter Agribusiness. Danny is a native of Tyronza, Arkansas, and lives in Lepanto. He holds a B.S. in business management from Arkansas State University and spent 15 years as an HR manager in the manufacturing industry prior to his arrival at Ritter. Danny and his wife Carey have two children, son Chandler and daughter Olivia. Danny is an avid trout fisherman and enjoys spending his Saturdays watching college football. Gerald Barber has served as Ritter’s Director of Outside Plant Construction since 2011 and has been with the company since 1990. In his current role, Gerald leads the construction teams in Millington, Northeast Arkansas and Tri-County and manages the contractors with whom we work. The construction teams bury and hang aerial cable and transport fiber to support voice, cable TV and internet. He was born and raised in Oxford, Mississippi and attended the University of Mississippi. Gerald has lived in Brookland, Arkansas for 35 years. He enjoys camping, hunting and working on the farm. He and his wife Janet have one son, Daniel. Heather Terry has been a member of the Ritter Communications team since 2010. She spent her first four years in the accounting department before moving to Carrier Operations in 2014. 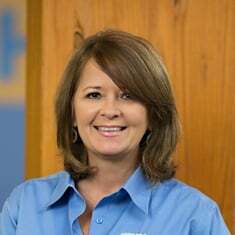 There, she served as Carrier Sales Manager and soon moved up, becoming Director of Carrier and Wholesale Services. 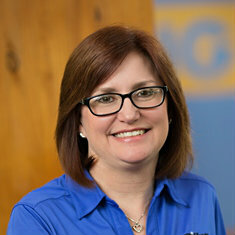 Most recently Heather was promoted to her current position as Director of Product Development and Carrier Relations. In her new role, Heather leads Product Development, Carrier Relations and Business Development Engineering groups. She manages new product projects and roadmaps, as well as financial models for new markets and investment opportunities. She also assists with budgeting and forecasting carrier relationships from the “buy side”. In addition, Heather works as the Wholesale Product Manager, managing CAPEX forecasts, pricing and large bid opportunities. Heather is a native of Cardwell, Missouri and received her Master of Accounting degree from Arkansas State University. During her time as an undergraduate, she played volleyball for the Red Wolves and still loves hitting the court whenever possible. Jane Marie Woodruff became Director of Marketing for Ritter Communications in 2007 and is responsible for leading and supporting the development and execution of marketing strategy for all operations and all classes of products and services, including market research, advertising strategies and execution, sales support, customer retention up-sell strategies and communications. Jane Marie was born and raised in Jonesboro and holds a degree in marketing from Arkansas State University. She is a member of the Ritter Philanthropy Committee for the Ernest and Anna Ritter Family Endowment Fund and a board member for Connor’s Song, a Christian faith-based nonprofit organization that provides charitable and educational support to help meet the needs of underprivileged children and families both in the U.S. and worldwide. Jane Marie and her husband Lee have two sons, Will and Weston. Jeff B. Shipman joined Ritter Communications in 2012 and serves as the Director of Purchasing & Inventory. 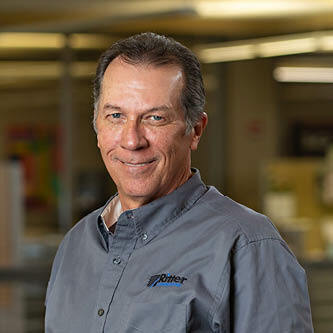 Jeff leads the team that manages Ritter’s supply chain by purchasing, warehousing and distributing all materials the company uses both internally and externally. Prior to his arrival at Ritter, Jeff held similar roles with Saxon Energy Services, Remington Arms and Timex Corporation. Jeff is from Searcy, Arkansas, and attended Harding University where he earned a degree in Business Administration/Business Management. He and his wife Laurie have three sons: Landry, Fielding and Foster. When away from work, he can often be found running roads, tracks or trails or kayak fishing on an Ozark stream. 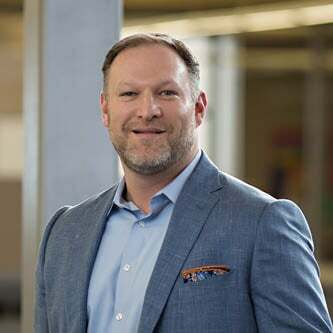 Jerry was appointed Director of Enterprise Sales at Ritter Communications in 2019, where he is responsible for enterprise sales revenue and new market growth. In this role oversees a number of areas, including expansion of the company’s business services offerings into new markets, development of our cloud product suite and continuing to grow the company’s customer base through its expanding fiber optic network. He holds various certifications and service credentials from Nortel, NEC, Motorola, Nokia, Cisco, Cradlepoint, Sierra Wireless and Nextivity. Jerry also completed the AXIOM Selling Sciences Program™ (SSP). His telecom career began with Alltel Communications in 1995, where he held positions ranging from Wireless and Wireline Technician to Enterprise Solutions Service Delivery Manager. Most recently, he was Director of Data Sales for Verizon Wireless Communications. Jerry earned his Bachelor of Science degree in Industrial Technology from the University of Central Arkansas, where he also minored in Business Management. His hometown is Cabot, where he lives with his wife, Holly and his son Jerry Fleenor, Jr.. An avid outdoorsman, Jerry enjoys hunting and fishing, and is a motorcycle and automotive hobbyist and enthusiast. Since joining Ritter in 2013, Josh Bradley has been involved with our residential sales team, first as a sales representative and later as manager, prior to being named Director, Sales Operations and Small Business Sales in 2019. Josh is responsible for establishing relationships with businesses throughout our market territories, as well as being a team leader on bolstering existing client accounts. Previously, Josh served as the government account manager for municipal customers at Optus, Inc. and director of sales and marketing at DAS Incorporated. A Jonesboro native, Josh holds a Bachelor degree from Western Governors University in Salt Lake City, Utah in Marketing Management and also studied Psychology at the University of Arkansas at Fayetteville. He and his wife Linda have a son, Maddoxx. Rich Busby joined Ritter in 2006 as an engineer specializing in fiber optic communications, including plant design, install supervision, testing, documentation and overall maintenance. 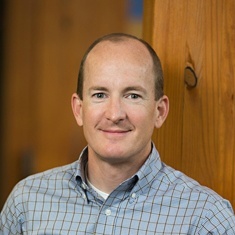 He was named Director of Outside Plant Engineering in 2018, and is responsible for leading the daily execution of the Outside Plant Engineering team for projects and deliverables. He also provides leadership to the OSP Engineering Team by developing and guiding team members and maintaining close working relationships with all partners to support build activities within the network. Rich has over thirty years of experience in the industry and has a wide range of certifications. He is from Marion, Arkansas and has one daughter. 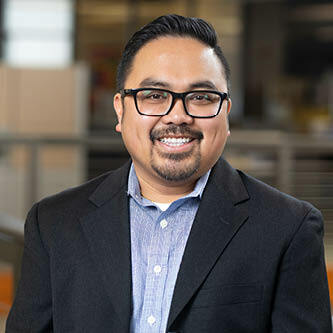 In 2018, San joined the Ritter Communications team as a Senior Solutions Engineer. 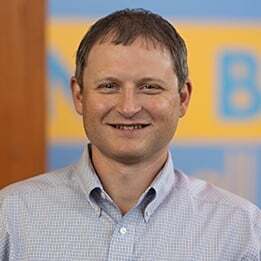 He brought with him more than a decade of experience in various network operations, engineering, and leadership roles form Fortune 500 companies. 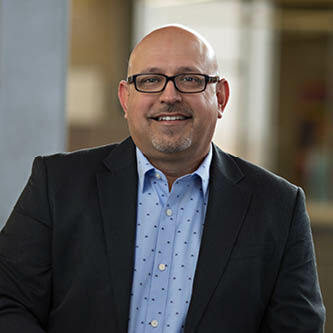 In his current role, San oversees the day-to-day operations (NOC) of Ritter’s production network which supports residential, enterprise, voice and cloud customers. He also directs Ritter’s Enterprise Technical Assistance Center (ETAC) team, which is responsible for customer activation and repair. San received his Bachelor’s degree of Science degree in Electronics and Computer Engineering Technology from the University of Arkansas at Little Rock. He also carries various industry standard certifications – Cisco CCNA R/S, Cisco Wireless, and CompTIA Network+. San was born in the Philippines but now considers Arkansas his home. He currently resides in Jonesboro along with his wife Rebecca and son Ian. 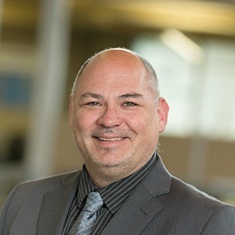 Since 2013, Tony McKay has served as Ritter Communications’ Director of Network Operations, where he oversees and directs teams responsible for residential, enterprise, and wholesale technical support as well as enterprise service activation and provisioning. He also directs network operations' initiatives concerning network standardization, proactive network management principles, equipment spares and network monitoring. Tony came to Ritter in 2005 and spent five years as a network operations center (NOC) technician. Tony is certified in both CompTIA A+ and CompTIA Network+. He holds a B.A. in business administration with an IT emphasis from Southern Arkansas University. Tony is a native of Camden, Arkansas, and is a motorcycle enthusiast. He and his wife Sheila have one daughter, Tiffany. Venice VanWinkle joined Ritter in 2010 and has worked extensively in sales operations prior to being named Director of Quality Assurance and Compliance in 2018. Most recently, she was manager of sales operations and enterprise customer care. Focused on customer satisfaction, retention and loyalty, Venice serves as a consultant to Department Managers, Directors and Vice Presidents in identifying, devising and implementing processes that enhance the end-customer experience. Originally from Colton, California Venice attended the University of Redlands in Redland, CA, as well as Black River Technical College in Pocahontas. She is married to Michael VanWinkle II and has three children: Mazzlin, Massimo and Vincenzo. Venice loves cooking and traveling with her family.